I’ve never been one to have a favorite anything. I have things I like, things I love, things I’m passionate about. But I do not have a favorite thing. It’s the reason my top tens are generally prefaced with the phrase “in any order”. If I were to call this article “The Top Ten Horror Films of All Time” I would have to stick to the established conventions, the top ten horror films as decided by top-critics. So I won’t. I’m calling it “A Top Ten Horror Films of All Time”, the lack of the definite article is important. So don’t take this piece as Gospel. 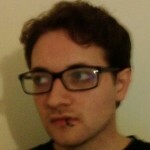 I’ll be making a small concession to the status quo though. The first five films will be culled from established consensus, and the final five will be my own personal recommendations. 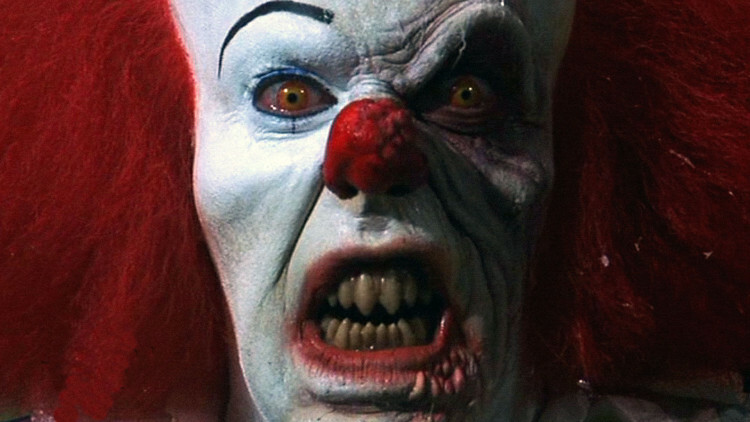 So lets countdown a Top Ten Horror Films of All Time. Let’s start with Roman Polanski’s Hollywood début shall we? 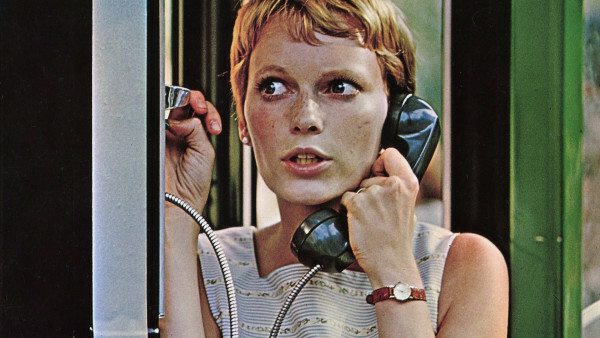 Rosemary’s Baby is a classic of the genre starring Mia Farrow as a young pregnant woman who fears that her husband, a failing actor, has made a deal with her neighbors to sacrifice their child to Satan in exchange for power and wealth. What plays out is a masterful tale of suspense, thrills and unsettling scares. Unlike some of the films on this list it does not rely on cheap jump scares to illicit a response. It great and deserves a spot on everyone’s Top Ten Horror films list. Tobe Hooper’s hugely influential horror flick went on to inspire a generation of imitators, but few could match the intensity of “The Texas Chainsaw Massacre”. If you haven’t seen the original I highly recommend you find a way to watch it. There are no jump scares. That fact still surprises me when I re-watch it. Seriously, maybe two parts kick-start the heart a little, but by and large this film is about slow burning tension that hits a peak a just over half way through and maintains it until the conclusion. Not much gore in the film either, another surprise. Leather face was the origin of the horror film bogey-man, and you can see his stamp all over the slasher genre. He was partially based on Ed Gein, real life serial killer who made suits out of human skin. Chocolate syrup flowing down the drain. 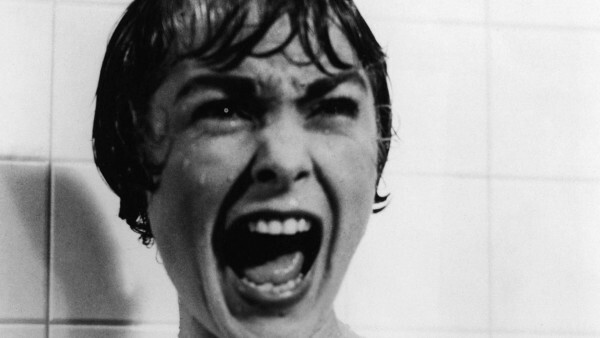 Have you seen “Psycho”? You haven’t? Where have you been for the last x amount of years? Anyway, even people who haven’t seen the flick must know the twist by now, yup that was a twist at the time. “Psycho’s” influence can be seen in all kinds of films, not just horror, and established a few of the tropes used in the modern slasher film. Not as many as you might think though, it only bears a superficial resemblance to the likes of “Halloween” and “Friday The 13th”. “Psycho” is very much an Alfred Hitchcock thriller through and through, and still worth watching to this day. 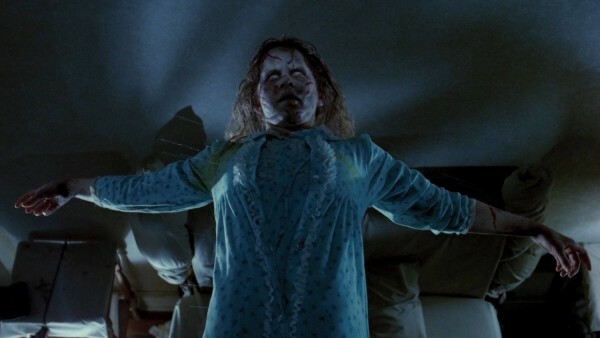 What list of Top Ten Horror films would be complete without “The Exorcist”? This film was built up by my parents as the most pants-wettingly terrifying thing ever committed to celluloid when I was a kid. That I should never watch it, and if I did I would never sleep again. I watched it anyway, really wish I hadn’t. William Friedkin crafted a taboo breaking masterpiece in this film, with a level of dedication and polish that is still rarely seen in a horror film. A deeply unsettling film, to me at least, and still one of the best ever made. I love Stanley Kubrick. The guy was a genius, from his first film to his last, he painted each scene with more attention to detail than any other director before or after him. So it is a shame writer Stephen King is so enamored of his own work that he failed to see the majesty that was “The Shining”. Really, he hated the film and insulted it every time it was brought up. Until 1990 when he signed an agreement to stop. 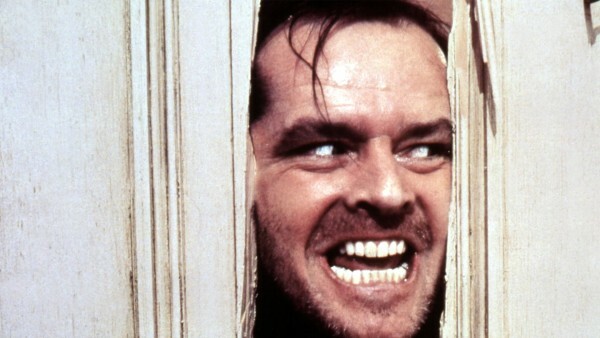 Starring Jack Nicholson at his deranged best, the film is infamous for Kubrick’s unprecedented number of retakes and the near abuse suffered by the film’s leading female, Shelley Duvall. Duvall was brow-beaten and forced to do take after take to the point of exhaustion. I will say this though. Her performance was in many ways better than Jack Nicholson’s. Now we start into the films that may be a little debatable, but I think they are all masterpieces in their own way. Nosferatu may be a bit of a pretentious choice, but I adore this film. 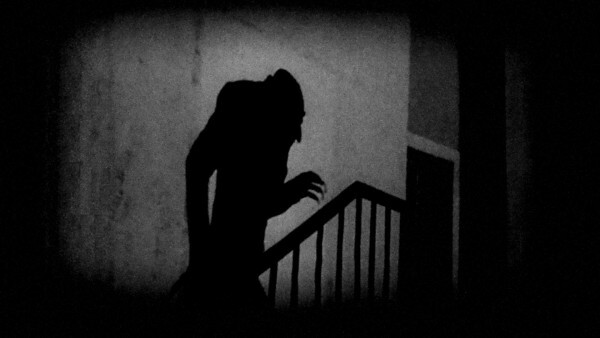 FW Marnau’s Nosferatu is a prime example of German expressionism in cinema. The way each scene is exquisitely painted with shadows adds an unease and tension not seen often these days, making every frame a work of art. The performances were a little over the top, but Max Schreck was captivating as Count Orlock. Forgot to mention, the film was an adaptation of Bram Stoker’s Dracula, but they couldn’t get the rights from the Stoker estate. Stoker’s widow sued the production company, won and tried to have all copies of the film destroyed. Thankfully some survived. The film is also the origin of vampires dying in sunlight. 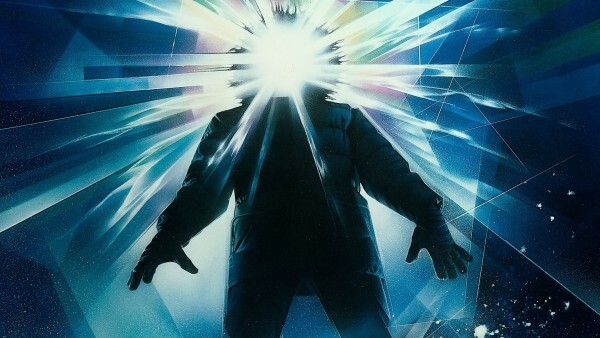 “The Thing” is fantastic. Taking influence from Lovecraft and W Campbell Jr. this adaptation of Campbell’s novella, Who Goes There, it is to me one of the best examples of good body horror out there. I’ll be honest, it was a toss-up between this and Cronenberg’s “The Fly” and while “The Fly” is more disturbing to look at, it doesn’t have the wonderful paranoia present in John Carpenter’s “The Thing”. If you haven’t seen it, I won’t be spoiling anything, but I will advise the squeamish to keep a paper bag handy. Oh and if you speak Norwegian cover your ears when you see the dog being chased. I would also advise seeing the two follow-up films in Carpenter’s Apocalypse Trilogy, “Prince of Darkness” and “In The Mouth of Madness”. Neither are as good, but both are still worth watching. 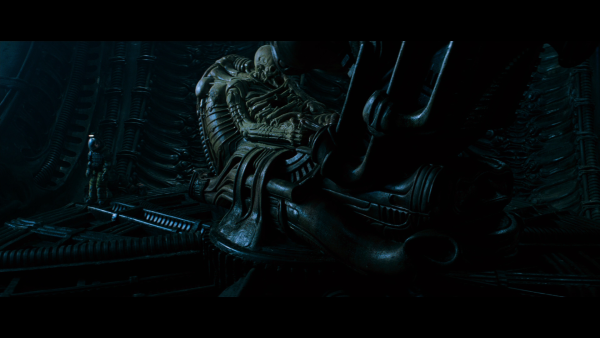 From a pure art perspective I would have to say “Alien” is the best film on this list. Now bear in mind I’m a big fan of sci-fi so there is a lot of bias here, but hear me out. The film is science fiction, but it’s a “used” future. The beginning of the film shows us the alien, in the sense of different, time the people are living in, juxtaposed with a meal putting us at ease, allowing us to empathize. The Nostromo is a cargo ship, the crew are blue-collar through and through. Then they get to the planet and the whole thing changes, we had ease, peace tranquility and now we have the tension, the true alienness, isolation and BAM! I’m not going to describe the rest but the first time we see the Alien half of the movie is already done. That kind of slow burn is wonderful to see and Ridley Scott has only made one film better than this one. Blade Runner. Uzumaki is weird. Based on the wonderfully grotesque work of Junji Ito, it is one of the oddest films I have ever seen, and I’ve seen a fair few odd films in my time. It’s kind of like a slice of life horror film. With a kind of subtle wrongness. Never in my life have I seen so great an example of the Lovecraftian ethos of off otherness in a film. Mostly it’s a description of a town that is slowly becoming obsessed with spirals, or vortices. It’s what Uzumaki means, and the unsettling things that happen to the people. The visuals are so disgusting to me that I’ve only been able to sit through the film twice. It’s not the gore, there isn’t much of that in the film, it’s a kind of too close for comfort familiarity. The compulsion of the populace. I don’t know, the flick affected me in a way few others do. This is not only one of my favorite horror films. It is one of my favorite films of all time. It stars the fantastic Jeffrey Combs, one of the most underutilized actors of all time, seriously it is almost criminal how few things he’s in. He plays Herbert West in this adaptation of H.P. 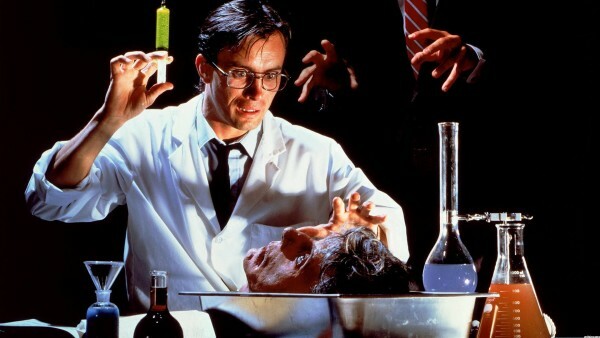 Lovecraft’s unconventional Novella “Herbert West: Re-Animator”. Lovecraft hated the book, I can see why, it wasn’t in his usually style and the monsters in it bear no resemblance to the other worldly unknowable eldritch horrors for which he is so well-known. It was one of the first works to envision Zombies as the result of scientific reanimation, rather than magic and is thus a forebear to all modern Zombie fiction. The film though is hilarious. “Shawn of the Dead” tries to lay claim to being the first Zom-Rom-Com but the argument could be made that “Re-Animator” is the real first. Now the humor might undercut the tension sometimes but I still maintain that the film does a wonderful job of balancing the plate of comedy and the plate of horror. Combs’ Herbert West is an unsettling doctor experimenting with human resurrection. He gets kicked out of a German University after the death, and brief reanimation, of his superior researcher and enrolls in a U.S. Medical School. The film is filled with great physical effects, terrific acting and an engrossing, or gross, story. I don’t want to ruin the film for you, please watch it. So there we are. The Top Ten Horror films as chosen by me, and by top critics. I know that the list is numbered, honestly it’s just to make it easier to read, and I know that at least one of the films on this list was not reviewed very well, that would be “Uzumaki”, but I think how a film makes you feel can be as important as the cinematography or technical brilliance. Anyway, if you have any horror movies that you think were unfairly forgotten please leave a comment and I’ll go watch them. I’ll update the Top Ten Horror films list if any of your suggestions are better than the ones I have up here.